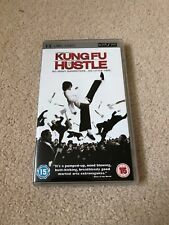 This Kung Fu Hustle (UMD, 2005) is in a New Condition. 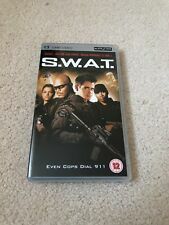 This S.W.A.T. (UMD, 2005) is in a New Condition. 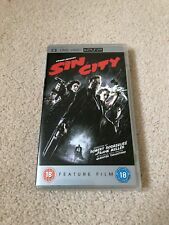 This Sin City (UMD, 2005) is in a New Condition. Outer Slip Case light shelf wear only. Individual cases in excellent condition. This Black Hawk Down (UMD, 2005) is in a New Condition. Coldplay Live 2003. 13 The Scientist. 7 Don't Panic. 17 Life Is For Living. 2 God Put A Smile Upon Your Face. 9 See You Soon. 10 Everything's Not Lost. Acceptable - The disc plays perfectly, but is otherwise the worse for wear. Very Good - Plays perfectly. The jewel case might show limited signs of wear, as might the inlay notes and inclusions. Good - The disc plays perfectly but has clear signs of wear. 2 Discs in Excellent condition. DVD is PAL Region 2. UMD You Don't Mess With The Zohan Extended Edition UMD Video Region : Format : PAL (UK Standard) Catalogue Reference : Condition Used as in the photograph Payment with Paypal Only. Our reference : Trays-49707 Only original items are sold here. See the photo for more detail of what you will receive. Guter Zustand. Super Nintendo SNES. Große Auswahl zu fairen Preisen. Nintendo Wii. UMD Hitch UMD Video Region : Format : PAL (UK Standard) Catalogue Reference : PSP 37674 Condition Used as in the photograph Payment with Paypal Only. Our reference : Store-49744 This product is sold as genuine. We only list genuine stock. Please refer to the photograph to see the item you will receive. Batman (UMD, 2006). Condition is New. Dispatched with Royal Mail 1st Class Large Letter. C HARLIE ET LA CHOCOLATERIE. Envoi soigné sous bulles en lettre suivie. Fluch Der Karibik. Große Auswahl zu fairen Preisen. Guter Zustand. Super Nintendo SNES. Playstation 2. Playstation 3. It is in good condition as shown in the pictures. Spieldauer ca: 220 Minuten. Bildformat (UMD Video): 4:3 Vollbild. 8 Mile PlayStation Portable Video / Gebraucht. Alien vs. Predator PlayStation Portable Video / Gebraucht. Matrix PlayStation Portable Video / Gebrauch. Große Auswahl zu fairen Preisen. Guter Zustand. Super Nintendo SNES. Nintendo Wii. Nintendo DS - Lite - DSI. Playstation 2. ED, EDD & EDDY. Includes Instructions. UMD Stephen King's Children Of The Corn [NEW & SEALED] Brand New and Factory Sealed Region : Format : PAL (UK Standard) Catalogue Reference : UMBDV0008 Condition New as in the photograph Payment with Paypal Only. Our reference : Store-49548 Listed here by RVG is your genuine product. All our merchandise is genuine.